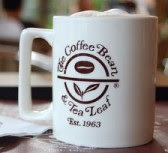 The Coffee Bean & Tea Leaf franchises in India on an expansion ';e=summary_img}var c=a+"
The Coffee Bean & Tea Leaf (CBTL), introduced to India by Pan India Food Solutions back in 2008, is launching an expansion drive quite soon. At present there are 26 Coffee Bean franchise outlets in India, and the California based caféteria franchise is looking forward to open 15 more Coffee Bean franchise outlets throughout India within 2013. The first Coffee Bean outlet in India was started in Select CityWalk in Saket, New Delhi, in 2008. To drive the expansion better and faster, the company started franchising soon, with the first Coffee Bean franchise in India being opened in Chandigarh. The coffee house culture is more and more becoming an indispensable part of the urban lifestyle in contemporary India. The Coffee Bean & Tea Leaf (CBTL) is looking forward to grab this opportunity by opening 15 more outlets within this year. At present, CBTL is operating in 29 countries through its 1000 outlets. The area requirements for opening Coffee Beans & Tea Leaf franchise in India is roughly 1,500 square feet. Mr. Maheswari also mentioned that the start up cost for CBTL franchise outlet in India, the investment will be around Rs. 80 to 90 lakhs. It will be a big investment no doubt, but we are sure that it is worth the return. Are you an entrepreneur and want to open franchise coffee chains in India? 1. Roy, Vijay C. "California-based The Coffee Bean & Tea Leaf to expand in India". Business Standard . 10 June, 2013. Web. 12 June 2013. 2. Image: "The Coffee Bean & Tea Leaf". The Purple Passport . N.D. Web. 11 June 2013. Cropped and resized. I am very keen on operating a CBTL outlet preferably in a mall in NCR region. Just need to know the contact point and the investment required including the franchise fee and machinery cost for CBTL. Also please let me know the ROI as well.